Editor's Note: This article was originally published in February of 2018. 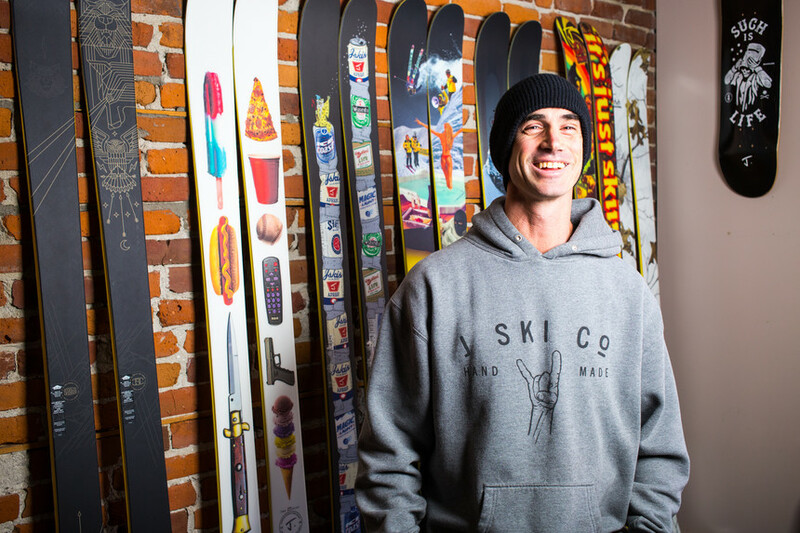 Jason Levinthal thinks he's perfected the art of running independent ski brands. The formula focuses–as Levinthal phrases it–on being nimble and having fun. Jack Whitney photo. Those living at the fringes of the American Dream are most likely to shake up the system. And those that live to ski are decidedly living at the fringes of the American Dream. Jason Levinthal, founder of Line Skis and former CEO of Full Tilt boots, undoubtedly lives to ski. Levinthal’s dossier is, in a word, stacked: X Games athlete and medalist; twin-tip pioneer; veteran of the ski industry trenches; serial entrepreneur. But most importantly, like any self-starter with a nose for success, Levinthal’s a risk-taker. Leaving his helm at Line and Full Tilt, Levinthal decided to start from the ground up, again. 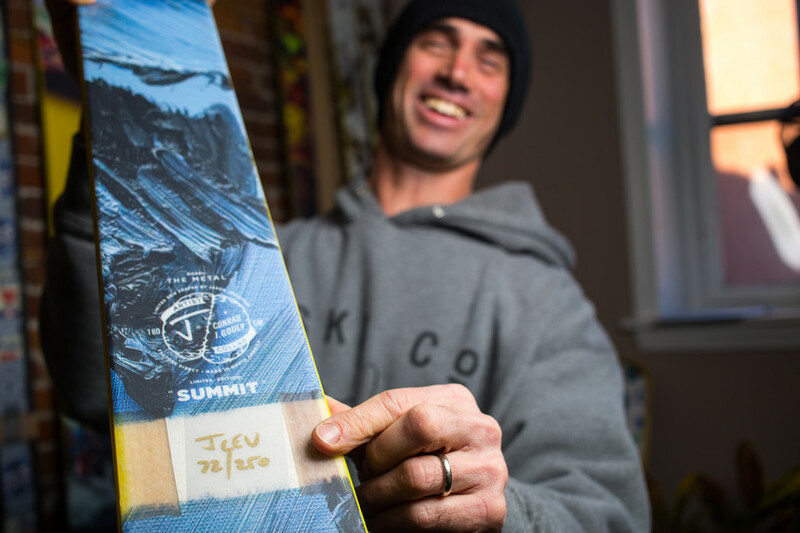 J Skis was Levinthal’s passion project born in October 2013 with the same sort of enthusiasm that he invested while tinkering in his parents garage during the mid-90s. But this time, Levinthal has two decades of ski design and industry experience under his belt. "It's just skiing," is a common refrain for Levinthal. And while he makes sure fun is at the forefront of all his decisions with the brand, Levinthal's business acumen is razor sharp. Jack Whitney photo. How does one make skiing better? Levinthal’s answer is pretty straightforward: design skis that make skiing fun; collaborate with artists to create provocative and eye-catching limited run topsheets; connect directly with skiers. This year, J Skis is at 2,500 pairs and counting. 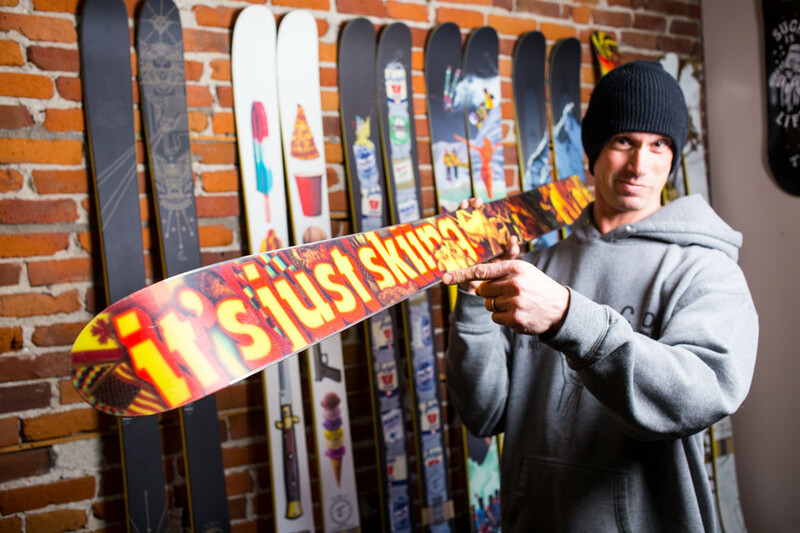 Levinthal credits his emphasis on input from artists and pros in ski design and shaping with helping J Skis' growth. Jack Whitney photo. Levinthal was an early champion for direct-to-consumer (DTC) sales channels. In fact, he says it’s the only way that boutique ski brands are even viable. 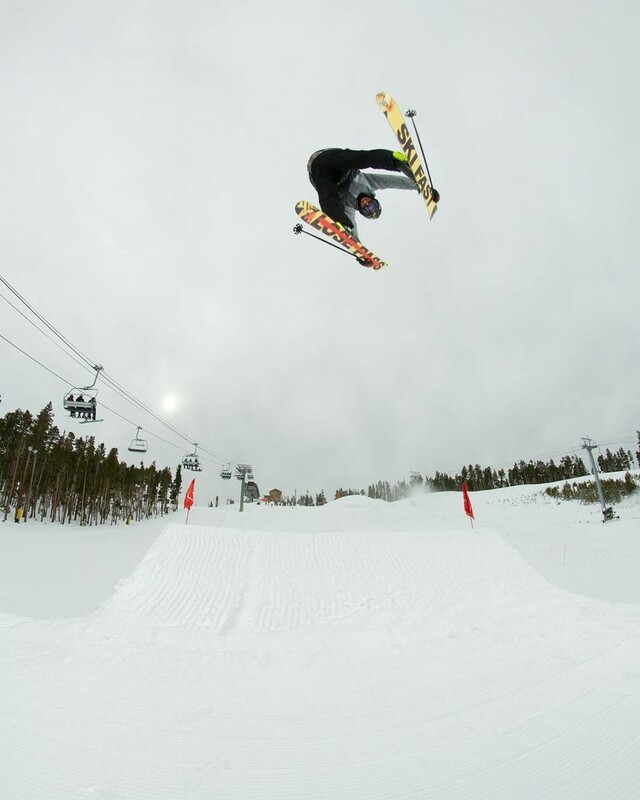 J Skis was among the industry’s first companies to adopt DTC exclusively. The formula isn’t rocket science, either. Levinthal is hedging the bet that J Skis will attract a customer base without the encumbering and time-wasting additions of sales representatives and retail shops. This, he says, is precious time and money that small brands simply do not have. Levinthal’s chief engineer, Quebec-native Francois Sylvain, has been a long-time collaborator since the Line days. This partnership, Levinthal says, is a key ingredient to J Skis’ special sauce. J Skis' focus on originality allows them to get creative with graphics, like this tongue-in-cheek offering they drew up for Giray Dadali. Ross Donward Photo. “We’ve invented a lot of stuff over the last decade-and-a-half. Francois applies his geometry and know how from ski racing," says Levinthal. "You’ll notice, even in my park skis, these skis carve incredibly well. Francois was one of the first engineers to apply multi-radius sidecuts. Line skis were–and now J Skis are–really playful. That comes from my influence on the design. I want skis that are nimble." A keyword that Levinthal bounces around is nimble; nimble skis, nimble business. It’s that same nimbleness that he aims to imbue in his newest venture–the August 2017 acquisition of 4FRNT skis. 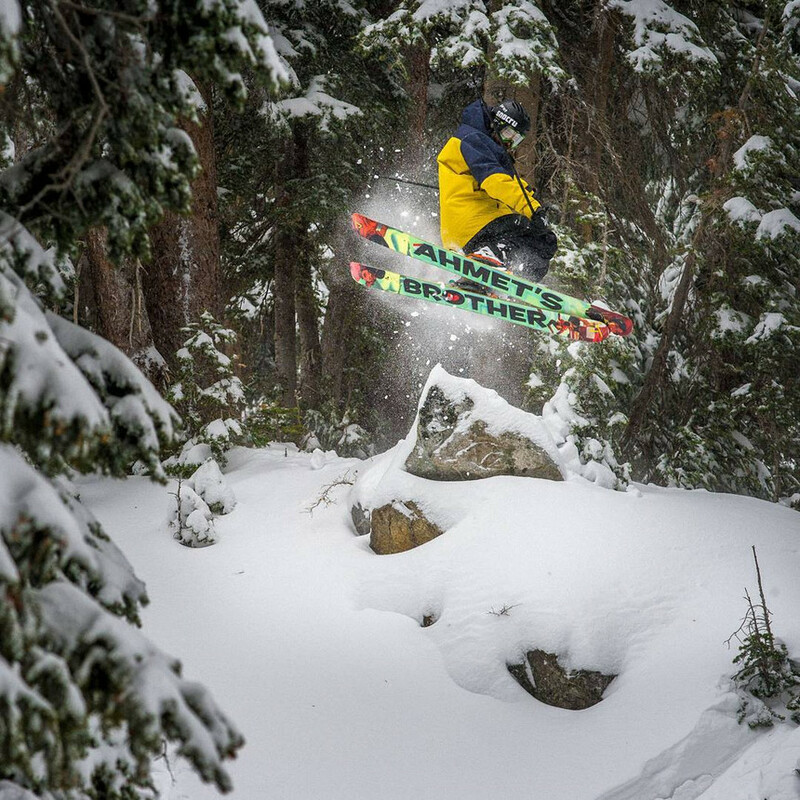 Salt Lake City’s 4FRNT has been designing industry-pushing ski shapes for fifteen years. The brand has developed a cult following that tows the line of even being able to still call it cult. Skier driven and independent, 4FRNT’s dynamic ski quiver results from direct input from designer-athletes like Eric Hjorleifson and Thayne Rich. Even so, 4FRNT was skiing into financial avalanche terrain. Opportunity senses tingling, Levinthal began talks with Matt Sterbenz, 4FRNT founder, and together they decided to unite the brands. “It got to that point where we needed to figure out how to get this awesome brand with a great history, award-winning product healthy and how to take it to the next level,” Levinthal said. The move makes a lot of sense. Both brands hail from fiercely independent roots, both produce award-winning skis and both brands have healthy niches within the ski world that complement one another. Levinthal’s first goal is to stabilize the brand and amplify the things that make 4FRNT tick. Levinthal will work with Sterbenz and crew to trim back things that aren’t selling, and you guessed it, forsake the retail sector for DTC. Levinthal also hopes to up-the-ante with 4FRNT’s graphics. Guiding one small ski brand to financial solvency takes a minor miracle. Doing so with two brands takes someone like Jason Levinthal. Sure, he’s got his hands full, Levinthal seems to be taking the challenge in stride. Indie Ops: Who’s Down with IPP? they are terrific, everything he said they were going to be!! I couldnt be happier, and it was great to talk directly to the owner!!!! !